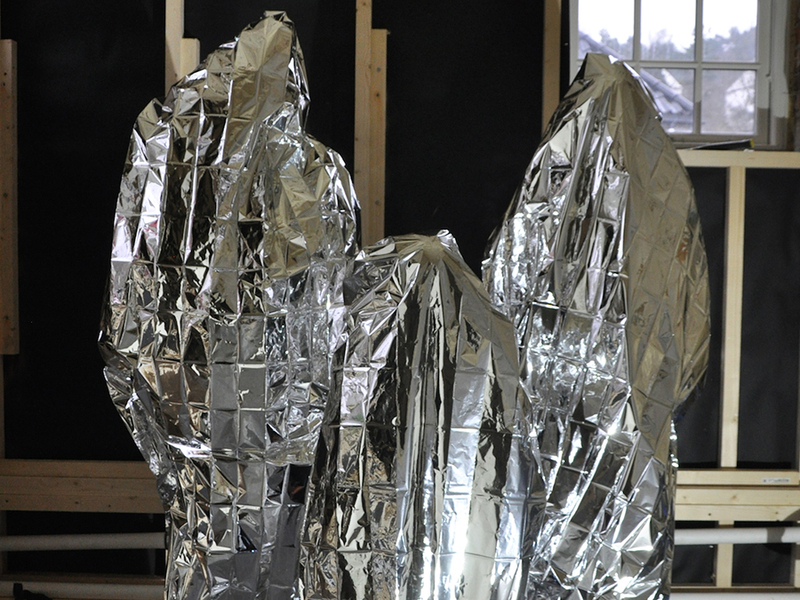 Lørdag 27. april kl 13:00 ønsker vi velkommen til åpning av utstillingen AKTIV MATERIE med kunstnerne Marianne Heier (installasjon/performance) og Franz Schmidt (tekstil). Dette er to kunstnere som i utgangspunktet jobber veldig forskjellig, men som nettopp derfor utfyller hverandre på en spennende måte. Mens Schmidt er opptatt av den konkrete prosessen og håndverket som ligger til grunn for et verk eller et produkt, er Heier opptatt av det som blir valgt bort; alle mulighetene til å velge annerledes på veien i en prosess. At utstillingen vises i Bomuldsfabriken, som ble bygget som en tekstilfabrikk for over 120 år siden, gir en ekstra dimensjon til Schmidts tekstiler og Heiers skråblikk på valg og muligheter. 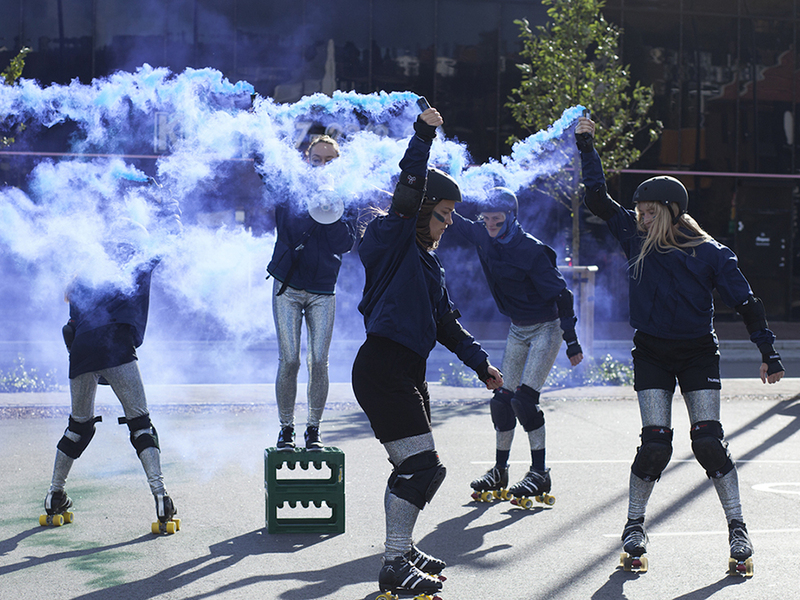 Program: kl 13:00 ”Heksebål”, performance ved Marianne Heier og danserne Amanda Bach, Ida Frømyr Borgen, Hanne Frostad Håkonsen og Chollada Phinitduang. Foregår på parkeringsplassen bak Bomuldsfabriken. Fremføres også søndag 28. kl 13:00. Åpningstale ved Tone Hansen, direktør ved Henie Onstad Kunstsenter og leder av Kulturrådet. Franz Schmidt synger Ålgård-sangen. Kl 15:00 konsert ved perkusjonisten Ståle Liavik Solberg. Franz jobber konkret med tekstilproduksjon basert på kriterier som kontrasterer med krav om markedseffektivitet, mens jeg jobber mer abstrakt med den politiske og økonomiske dimensjonen, oftest i form av tekstbasert performance. I utstillingen vil Franz’ tekstiler, produsert ved nedleggingstruede eller nedlagte norske tekstilfabrikker, komplettere mine politiske og økonomiske ytringer i form av konkrete eksempler på alternative modeller. Tekstilene til Franz kan dermed ses som en kroppsliggjøring av mine mer konseptuelt orienterte performancer, mens mine verk kan fungere som en teoretisk overbygning for hans produksjon. Målet vårt med utstillingen er at kunstnerskapene våre skal få sette hverandre i perspektiv og danne en helhet der både det konkrete og det teoretiske får plass, og der det estetiske og det politiske går hånd i hånd. Franz Schmidt (f.1969) bor og arbeider i Oslo. I sin praksis knytter han sammen sin erfaring som herreskredder, håndvever og produsent av tekstiler i industrien med sin interesse for materiell kultur og historie. Hans arbeider tar form av installasjoner som inkluderer tekstile materialer, gjenstander fra arkiv og samlinger, fotografier og tekster. Sentralt i hans undersøkelser står mekanismene som er virksomme når vi gjør verdivurderinger av gjenstander, og han belyser begreper som kulturarv, kunnskap, økonomi, og arbeidsforhold. I sine arbeider foreslår Schmidt modeller for produksjonsøkonomi og forbrukerkultur som kan være bærekraftige og representere reelle alternativ til de vi lever med i dag. Franz Schmidt har mottatt støtte fra Billedkunstnernes Vederlagsfond til utstillingen. Marianne Heier (f. 1969) er billedkunstner, og bor og arbeider i Oslo. Hun har også jobbet i moteindustrien i Italia i mange år. I kunsten sin utforsker hun ofte hierarkiske maktforhold. Med kritisk og humoristisk skråblikk snur hun det vi kanskje tenker på som «sunn fornuft» på hodet, og lar andre tolkninger og muligheter komme til syne. Resultatet kan presenteres som performance, som tekst, installasjon eller ulike typer av romlige intervensjoner. Spørsmål knyttet til økonomi og verdisirkulasjon er sentrale i Heiers verk, med gavens iboende makt som et tilbakevendende tema. In February 1915, the revolutionary feminist thinker Alexandra Kollontai migrated to Norway, in exile from Russia via Sweden. Her radical thinking made her a palpably undesired guest. It was in the Scandinavian capital of Christiania (aka Oslo), on March 8 that same year, that she tried to organize an international working women’s demonstration against the war. That same autumn saw her embark on a journey to the US, delivering lectures as part of a five-month tour during which she visited eighty-one cities. Returning to Norway, specifically Holmenkollen, in the spring of 1916, she then headed back to her “liberated” Russia, following the 1917 October Revolution. She took the post of Minister of Social Welfare, becoming the only woman in the cabinet, and the first woman in history to be recognized as a member of government. Kollontai’s political consciousness had arisen early in her life, particularly in connection with women textile workers, whom she considered the bedrock of the working-class .She had directly witnessed the darkness of this capitalist industry in 1896, when she first visited a large textile factory where her engineer husband had been installing a ventilation system. It was this encounter that led her to leafletting and fundraising in support of the mass textile strike which broke out in the Petersburg area later that very year. When we think about the last decades of the nineteenth century, we mainly focus on Europe and the US in their critical expansion of economic growth through the so-called Second Industrial Revolution. New technical innovations, including large-scale mechanized tools for manufacturing, and increasingly advanced machinery in steam-powered factories, boomed throughout the 1870s. In the textile industry, this progress occurred in apparel, where electric-pedal sewing machines (which more than doubled in production), created what has become notoriously known as the sweatshop system –implicating a new struggling class of domestic workers (mostly women). 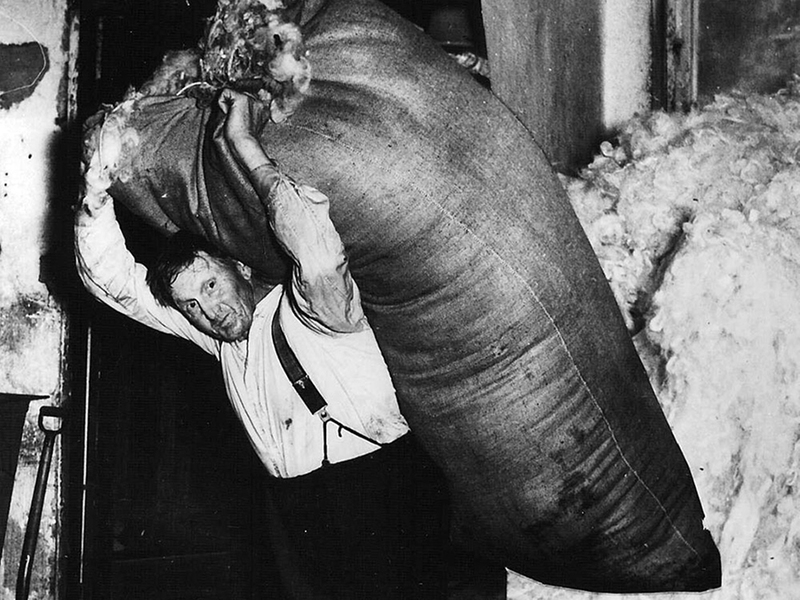 Wool-combing, which had long defied mechanization, was automized, and the throstle frame, dominating the scene until the 1860s, was slowly superseded by the ring spinning frame. Though not the centre of the Industrial Revolution, it is less than coincidental that 1870 marks an important year in Norway too, with the foundation of the Aalgaards Woolen Fabrics at the waterfall in Ålgård, by means of the Haugian entrepeneur Ole Nielsen. Nielsen carefully chose the waterfall of Ålgård because it both delivered the necessary and even power required for operating the factory as well as for its location in one of the country’s most important sheep districts. In just a few decades (out of fear of competition), Nielsen created a system of shares allowing his enterprise to grow quickly enough to purchase five other factories in 1916. 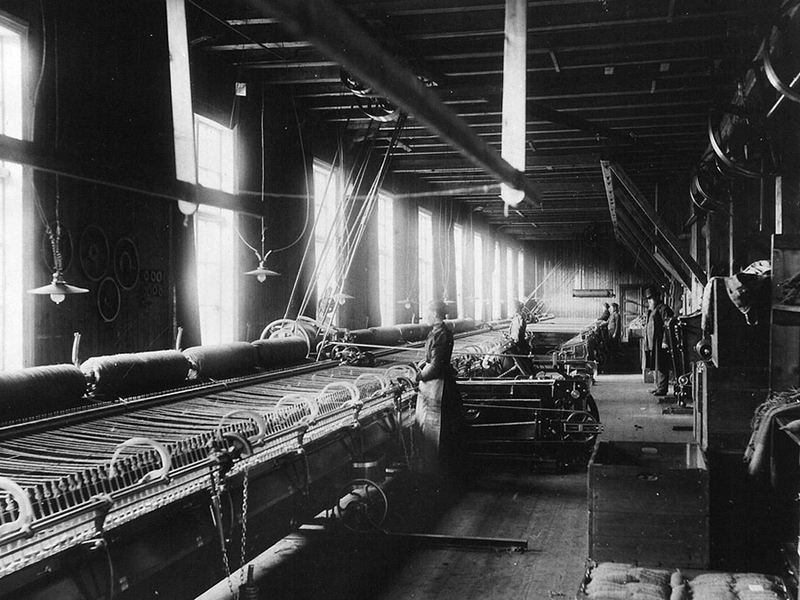 This new company, The United Woolen Factories, was a “modest” conglomerate merging Ålgård Ullvarefabrikker, Nydalens Fabrikker in Nord-Trøndelag, the woolen department at Hjula Væverier in Oslo, Grorud Textilfabriker with Skauger Fabrikker at Drammen, in addition to Fredfos Uldvarefabrik in Vestfossen; Nydalens Fabrikker had already become part of Ålgård Ullvarefabrikker before this merger. The life of The United Woolen Factories runs parallel to the life of a specific economic period in Europe and in the Western world at the peak of its capitalist and colonial expansion, specifically in its movement from the Second Industrial Revolution to the globalisation of the 1990s. It is the moment in which the “capitalist dream” is fully realised in Western countries, through the manufacturing of goods outsourced overseas, using cheap production labour in what were defined by ‘developed’ countries as ‘developing’ countries, while maintaining only the tertiary sector at home. The United Woolen Factories is paradigmatic of an arc of time in Western history and ambition, as well as of a sector of industry that constructed specific ideologies, classes, and subaltern gendered conditions –which today we simply call the fashion industry (as its sphere of influence reaches well beyond apparel). The United Woolen Factories, is an exemplary case of ideological industry in Norway, undoubtedly yielding profits while trying to escape the mere darkness of goods production; in the Haugianist spirit it had to reinvest a number of values into the local community. This pioneering corporate social objective was an integral part of the policies of the industry, and laid the foundation for schooling, sports, culture and religion in Ålgård. Today we should probably call this, in Foucaultian terms, the discipline of fashion (the discipline of industrialisation), as merchandise production came hand-in-hand with a number of interconnected institutions disciplining the “body” of the workers’ community. This is testified here by the total population of Ålgård, which in 1898 counted 592 persons, of which 246 were employees of the factory –meaning the entire community was implicated in the industry (either directly or indirectly). 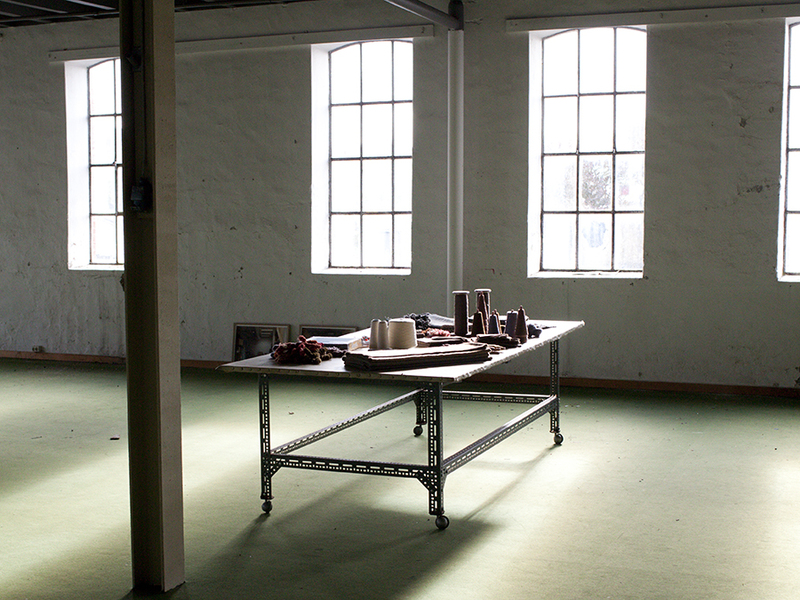 As we move into this “history” today, and precisely in 2017, when Marianne Heier and Franz Petter Schmidt, first intervening in Ålgård, started to connect the different shades of this industrial disciplining body by recuperating “traces” of the past and imposing them onto Norway’s contemporary textile industry –precisely addressing its alledged absence. Through performatic elements they speak about a loss (disavowal). Marianne Heier developed a performance in front of Ålgård’s outlet (shopping malls are the cathedrals of today’s capitalism). She pieced together leading feminist texts critical of the textile industry and of women’s conditions within it, highlighting the industry’s obessession with gendered exploitation; and the role of the contemporary consumer as a full-time, unpaid worker, complicit and inextricable from the exploitation of the self and the other. Her rioting, giving voic intermixed figures who had a real political intention, can only be rehearsed in her performance as a meme (a masquerade), as this is the only understandable language of democratic expression today, where public speech has been replaced by tweets, and tele-appearances. Likewise, Franz Petter Schmidt’s work spoke about the same absence (disavowal), the one related to a lost in situ knowledge connected to these local enterprises and their very matter of production –fabrics of a specific tactile taste– retaining a contextual specificity which has quickly gone “out of fashion” (and “out of technology”), to follow a globalised, streamlined attire. This first toil returns in Aktiv materie [Active Material] at Bomuldsfabriken Kunsthall in Arendal, where a number of intricate “documents” are simultaneously brought together: a reenactment of the live performance in Ålgård, and its subsequent recording; recent images taken by Fin Serck-Hanssen of the remainders of machinery in the Sjølingstad Woollen Mill* (in a ‘four-eyed’ work with Franz Petter Schmidt); rolling waves of textiles from Sjølingstad Woollen Mill; emergency blankets; the laborious study of fabric technologies by Franz Petter Schmidt; and “lost” fabrics and techniques repurported into use through a “new collection” sampled by HAiK W/. This archival material from Norwegian textile factories fallen in disuse is a testimony, alongside manifestos and counter-manifestos, of fashion, feminism, and workers’ movements in Europe, the US and beyond, together with a number of other recent video-recorded and live performances by Heier. This is a cohesive “scream”, and in itself a manifesto. The exhibition space becomes an agora, where history is put on trial –in formal terms, “to examine” evidence, as well as in terms of testing the performance of history. What should we take out of 200 years of the fashion industry determining the performance of our habits? What does it mean to rehearse this history? To bring all these phantoms together? To produce anew alledgedly “surpassed” textiles? How do we reach a different form of knowledge by accessing and witnessing all these overlapping documents –where even the contemporary productions and reproductions of both words and fabrics constitute evidence for such a story to be retold? Does this story have explanatory potential? What standards of inquiry would have to be met if performed behaviours were to be recognized as socially legitimate ways of understanding the past? The performance of history trumps official written history and entrepeneurial structures, and suggests a reevaluation of old questions. In this act of rehearsing, performing, remaking, and “wearing” documents Marianne Heier and Franz Petter Schmidt establish new indices of readability. They bring out something that has at times been named the “optical unconscious,” a revelation of spaces rising from below the calm surface of the known, provided by technologies and offering claims of opacity, of repetition, of time. The re-enactment of a textile, and the reembodiment of voices struggling for emancipation (being possessed by them) is demonstrative “evidence,” equal or superior to photographs from the archive. It opens up the possibility to excavate and retell overlapping stories of The United Woolen Factories, the Sjølingstad Woollen Mill, the Bomuldsfabriken, and of other textile factories in Norway (similarities which bring solidarity). 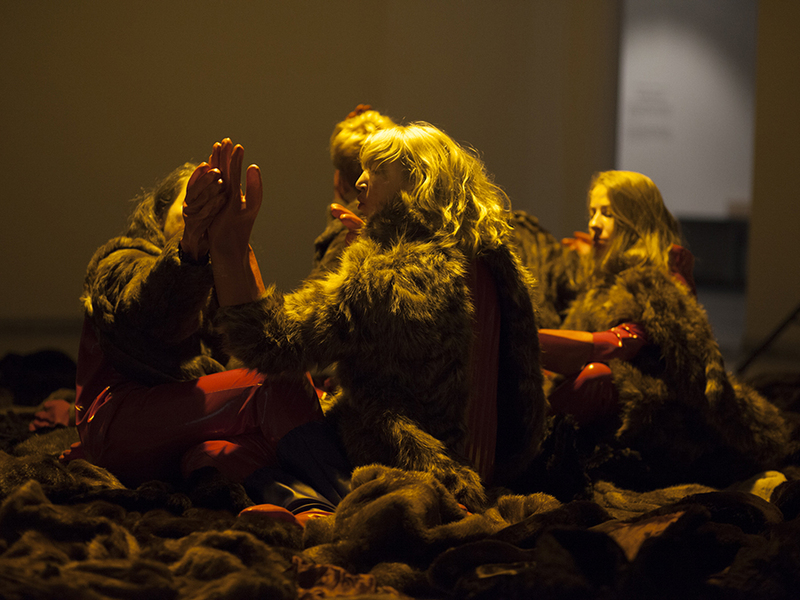 Similar to old photographic documents, these frozen-in-timed textiles and performative acts are an index maintaining the possibility for a ritual to be rehearsed, reenacted, to enter in direct dialogue with the now. Rather than a commitment to the medium as such, this effort should be understood as being primarily part of a larger attempt to represent social relations, often those historically recorded through photography only. It is the suppression of the photograph in service of the possibilty of reperforming the material that constitutes both the work’s politics and the critique of history as such. In its continuous reference to an impossible original (as both Heier and Schmidt multiply the number of documents), the very method of representation is displaced (that is how history is currently retold). These enunciations by Heier and Schmidt are aesthetic tools creating a mimetic proximity to the material world, both to its physical landscapes and to the power relations that create them. 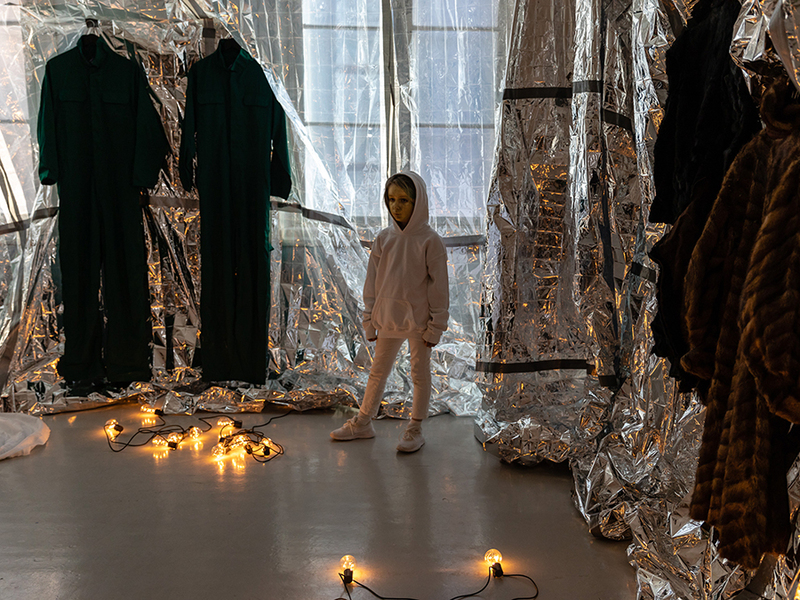 Performing words, and performing textiles entails the understanding of instutional technologies of suppression, as well as the social realms that allow for institutional appearance and disappearance (in Althusser’s reading). This means the works cannot be locked into a narrative and a linear trajectory from an image to a copy, but only read as a process of instututional unbuilding. It means questioning interrelated institutional technologies that have enabled this production to happen; technologies that are still underlying our very societies; it means the understanding of herds, feeding procedures, food patterns, environmental conditions, and so on and so forth, which become the narration of an entire community, the current state of affairs, the way to look at our society and, accordingly, a nation-state. Their work, as a loose referent to things and events, can be constantly retranslated anew, entering and exiting these specific situations with porous borders. Performance is often thought of as an ephemeral practice, as taking place only in the here and now, giving evidence of past behaviours, beliefs, and attitudes; but in this case it becomes material evidence. This impossible archive (as the new material is interspersed with documents, records, ruins) sustains an ongoing inquiry, an anti-historical repertoire of performed acts. Performing this “archive” (or these material documents) is a liberatory act freeing the force that structures embody in relation to social claims. It is testing our “democracies” desire for disciplining stability. The physical mechanics of reenacting these words and materials keeps the opportunity to dissent from organizational infrastructure alive; it is a practice, an episteme, and a politics that goes beyond the explicit topic. The tension between “high” and “low” (in terms of how documents are interpreted and classified) usually mobilises a number of normative exclusions, replete in this expository work which brings together factory and home, industrial scale and domestic dimension, assembly line and outlets. Where photograhy is engaged in its offering of social detail, these performative acts are a deception unframing differences (of gender, class and origin). The documentary elements are converted into mobile words and objects, where social detail is both recorded and, equally, absorbed by the performative act, which makes it trembling and unstable; the real element of a revolution to come. Such is the power of stories which matter more than history, as they foster energetic movements of people which can and should eventually provoke real change. * Sjølingstad Woollen Mill (Sjølingstad Uldvarefabrik) mirrors a certain history of fraternalism with The United Woolen Factories. Established in 1894, it produced yarn and fabrics sold in great parts of southern Norway until 1984. Today it operates as a living museum, where part of the machinery can still be used to produce small batches of textiles, and serve for training. 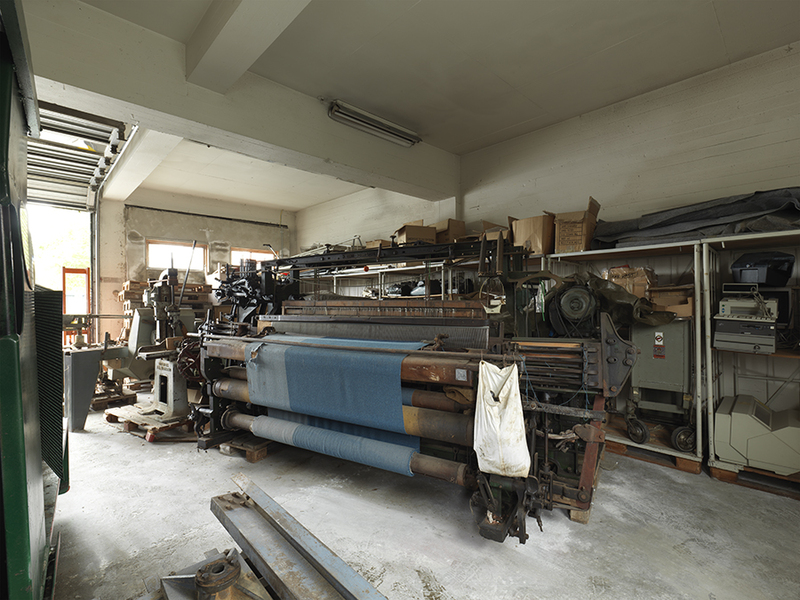 Franz Petter Schmidt has a long-standing relation to the mill, and has developed a number of works there, contributing to the recuperation of knowledge connected to the production of historical textiles that had fallen out of fashion. The Sjølingstad Woollen Mill forms part of the Vest-Agder Museum, a union of cultural heritage museums in the county of Vest-Agder in Norway.